As children grow so does their curiosity with the world around them. Basic household items, including window coverings, can turn into potential hazards. 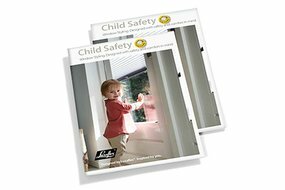 At Luxaflex® we consider child safety a top priority. Making products safer for homes with infants and young children is an integral part of our design philosophy. For a detailed chart of safety options across our products, download our free brochure. 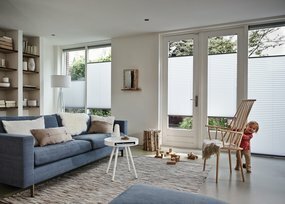 Luxaflex® is committed to adhering to the European EN 13120 standard (Internal Blinds Performance Requirements incl. safety) as a minimum safety requirement. We are continuously developing new products to help reduce the risk of accidents. Due to the changes in the European standard, you might have noticed some changes to your blind. 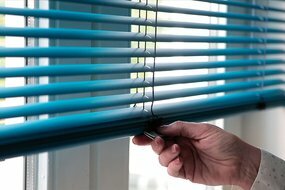 The standard operating length of most blinds with cord or chain operation has been reduced to a maximum of 1 meter to lower the risk of injuries on young children. Young children can be strangled by loops in pull cords, chains, tapes and inner cords that operate the product. They can also wrap cords around their necks. 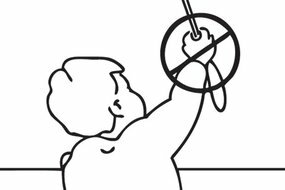 To avoid strangulation and entanglement, keep cords out of reach of young children. Move beds, cots and furniture away from window covering cords. Install and use the safety devices according to the installation instructions on these devices to reduce possibility of such an accident. All our innovative lifting systems – including cordless and motorised options – are designed to offer the ultimate in safety and convenience. Which operating system is right for your home? 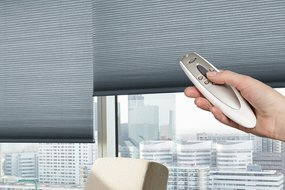 At your local Luxaflex® Showroom you will expert help to decide exactly which products, features and controls are best home. And we have a full range of colours, patterns and designs perfect for nurseries, playrooms and little one’s bedrooms.